There are some wonderful tracks in Europe. Of course race tracks like the Nurburgring and the Circuit de la Sarthe get much of the press because of the famed races held there, but there are plenty of other great circuits. A few of these are Ascari and Monteblanco in Spain and Portimao in Portugal. These courses are located in beautiful areas and have plenty of challenges for both the experienced and new driver. Hit the jump to learn more and to see a video about these tracks. Both the Porsche 911 GT3 (991) and Ferrari 458 Speciale are incredible driving machines. The German high performance machine is a precision tool that can adapt to just about any environment. The Italian sports car provides a more visceral experience, but can be more temperamental on normal roads. Both are great cars, but which is the better machine? Much of the answer depends on your taste. Do you prefer a car that is nearly perfect in every driving experience or do you want one that shows its flaws at times, but those flaws are what make it fantastic. The Ferrari is a wild stallion that keeps its driver busy when being driven quickly. On the track it is more powerful and has great balance thanks to its mid-engine layout. It does keep the driver more engaged in fast driving situations, but looses a lot of its charm when driving at slower legal speeds. The GT3 may not keep the driver as involved on the track, but it is easier to drive quickly. It also has a better driving experience at legal speeds and can be used as an everyday car. Beyond this it costs half the price of the 458 Speciale. So, which would you choose? Let us know in the comments. We asked you to help us choose our European Performance Car of the Year (2014) and after comments on this blog and social media we had narrowed it down to two cars. The Ferrari 458 Speciale and the Porsche 911 GT3 (991). Choosing between the two was very difficult. With the Ferrari you have a car that has a soul and a bit of a temper, but with the Porsche you have a precision tool. On the track we felt the 458 had a bit of an edge thanks to it actually being more work to drive. However, the GT3 was better in just about every other way and is more fun on the road. After much deliberation we decided to name the Porsche 911 GT3 as our European Performance Car of the Year. 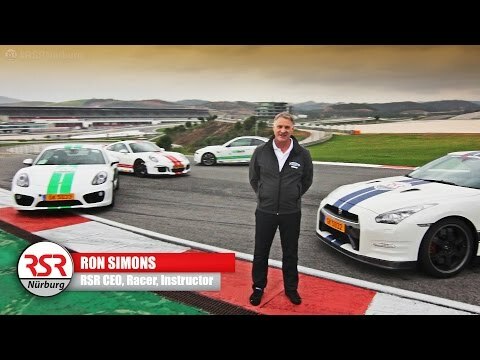 It won because it is a better all overall vehicle for the driving that people are most likely to do and it still is great fun when you have a track day. Now the 991 GT3 will compete again Dodge Challenger SRT Hellcat and Nissan GT-R for the overall Performance Car of the Year. Stay tuned as we will be asking your opinion on that in the next few days. We have finally come to choose our final candidate for our Performance Car of the Year award (2014). I know we are a little late to the party, but good things take time. This time we are choosing our European Performance Car of the Year (2014). The winner of this category will go head to head with the Dodge Challenger SRT Hellcat and the Nissan GT-R. Without further delay below are the candidates (we decided to leave off the ultra high performance hybrids for this year, but will likely include them next year). The newest 911 GT3 is possibly the best ever. Sure purists lament the fact that only the PDK dual clutch transmission is available, but from a performance stand point it is just about perfect. Mercedes is taking aim at the Porsche 911 with the AMG GT and they have made a powerful and stunning looking car. It is the perfect option for someone looking for a German performance car that just isn’t a Porsche. The Ferrari 458 Speciale is just an incredible machine. The standard 458 is very good, but the Speciale takes it to the razors edge. It is a fast beautiful machine that must be respected or it will bite you. The McLaren 650S is fast a beautiful. The quality of the craftsmanship on the car is top notch. Those who purchase one will often get people thinking that it is a P1 because of the similar front end. The Lamborghini Huracan is the car that replaced the Gallardo. Those are some pretty big shoes to fill, but fortunately the Huracan fills the company’s V10 void nicely. The BMW i8 is a performance hybrid that is affordable when compared to cars like the Ferrari LaFerrari. Performance levels are close to the 911 Carrera and it has the looks of a concept car. So, there you have the competitors, now help us name our European Performance Car of the Year by letting us know your favorite in the comments. Desktop wallpaper of these European performance cars. Both the Porsche 911 GT2 RS (997) and Ferrari 458 Italia are just incredible cars. On paper the performance of both is very close, but how they go about making their driving experience is very different. The Porsche is a turbocharged track ready machine and is one of that last supercars to offer an analog driving experience. On the other hand the Ferrari uses a naturally aspirated V8 which goes through a dual clutch gear box for lightning fast shifts. 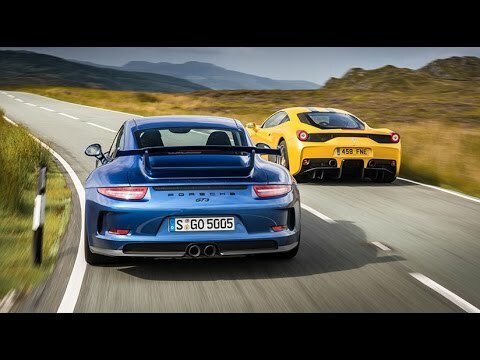 This video from Fifth Gear features the 911 GT2 RS being driven on the track and talks about how it stacks up against the 458 Italia. Both cars are some of the best that one could buy in recent years, but does one have an edge?